When I started this blog, many readers sent me links to their favorite tea stores. I’ve slowly been working my way through them. 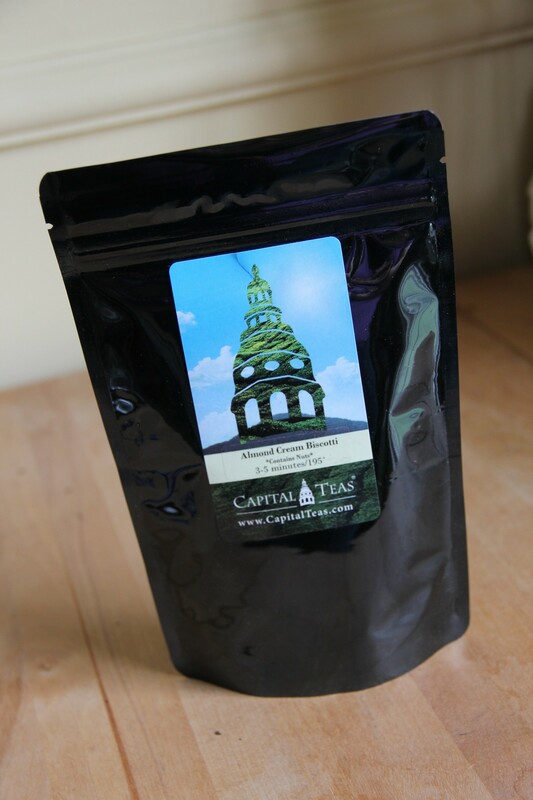 The next few weeks’ reviews will come from Capital Teas, in the nation’s capital. The first one I decided to try is Almond Cream Biscotti. 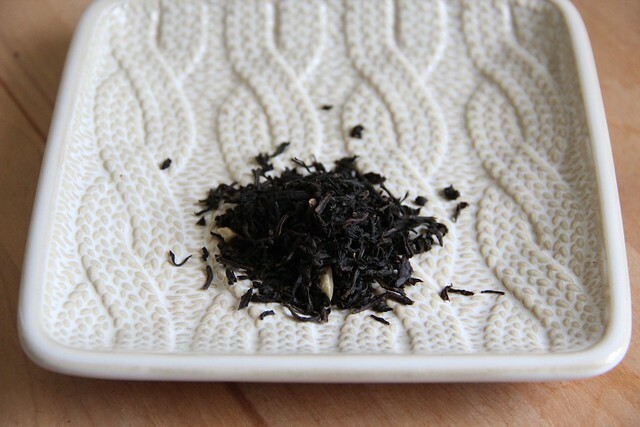 From the website, the blend contains: black tea, vanilla cream and almond flavors. Almond Cream Biscotti is available in a variety of sizes: 2oz for $7.50, 4oz for $15.00, 8oz for $28.50, 1lb for $54.00 and 2lbs for $102.00. When I opened the bag all I could smell was sweet and tangy Amaretto. It was almost overwhelming and I couldn’t wait to try it! Once brewed, the amaretto was a bit milder but still smelled delicious. The tea did not disappoint! It was a strong black, but with a wonderful amaretto taste and a bit of a creamy finish. This is one I’m delighted to add to my stash! Next The Corner of Knit & Tea: Episode 41, It’s Sunny!